These charming, daisylike flowers are a wonderful delight when they bloom in the spring. Also called windflowers, anemones have 1-2" flowers with showy yellow stamens. Complementing their flowers are attractive green, fernlike leaves. 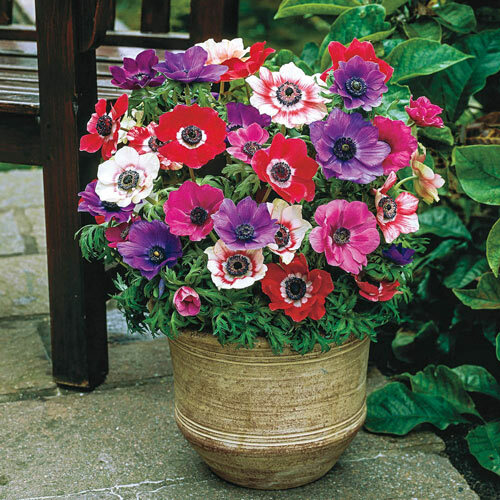 A low-growing perennial, anemones are perfect for planting in front borders, rock gardens or containers. They'll return year after year for delightful spring color. While gardeners and garden visitors love them, deer tend to avoid. Anemones look best when planted in groups. 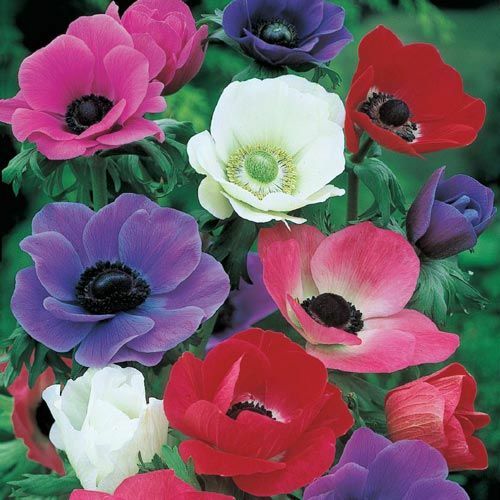 Our Anemone Mix Super Bag includes 50 bulbs in a mix of colors that can be planted together for maximum impact. Soil RequirementsLoosen soil about 10" deep and water well after planting. PruningRemove old foliage. 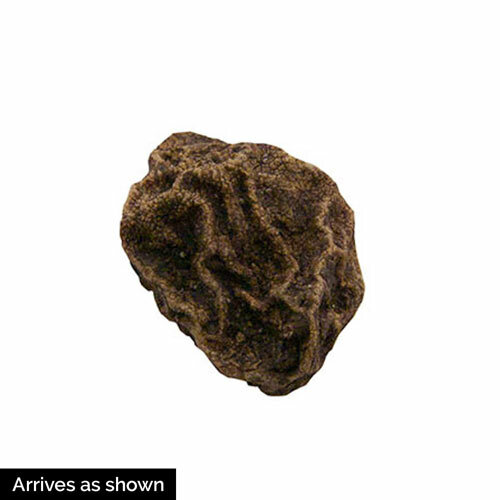 Clumps can be divided every two to three years during spring.